The biggest cake trend of 2016 so far are drip cakes – those beautifully presented and delicious-looking cakes which have their icing oozing down their sides. 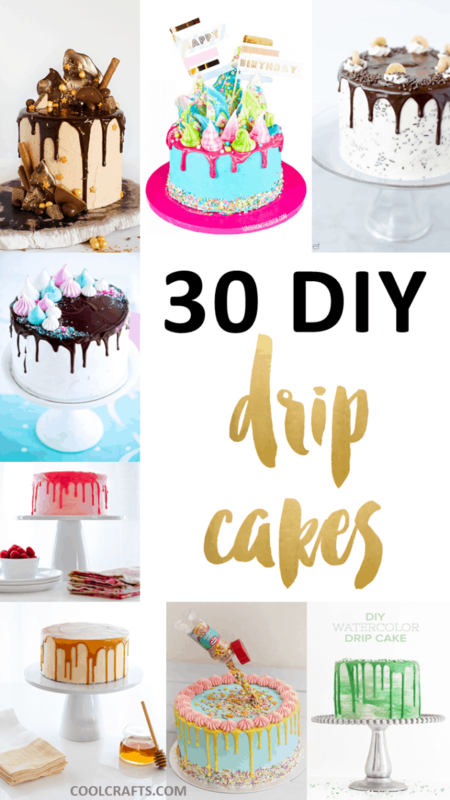 Dripping cakes can incorporate a whole range of colors into their designs, so whether you’re a fan of neon icing, dripping honey, or a more traditional chocolate icing, there’s definitely a DIY drip cake for everyone! Thankfully, we’ve actually rounded-up the most amazing DIY drip cake tutorials which are currently available on the internet. So get clicking – You’re sure to love them all! This DIY drip cake from Annie’s Eats has been appropriately named a ‘tuxedo cake’ due to its dashing colors of primarily dark chocolate and white. We love the addition of those delicious strawberries too! If you’re a lover of mint chocolate and Oreos, then you’ll love this DIY drip cake from Baking with Blondie, especially as it combines both of these things! Your guests are going to love this one too. Speaking of Oreos, this DIY chocolate drip cake from Barbara Bakes actually has an Oreo cheesecake filling – how delicious does that sound?! That decadent and drool-worthy icing is certainly something to write home about too. When it comes to creating your own drip cake masterpiece, this tutorial from BBC Good Food has you covered…just look at that work of art! It also uses candy and chocolate shards as cake toppers. If you’re after a DIY drip cake which features some beautiful berries and forest fruits, then this version from Blue Bear Wood is just for you! It’s a mature and sophisticated take on this current cake trend. Now this DIY drip cake from B Sweet Dessert Boutique will certainly go down a treat at any party. We especially love the chocolate sprinkles throughout the base of the cake – Delicious! If you’re interested in creating a drip cake with snow-like icing, then you’ll be happy to hear that Cakes.com has a tutorial to help you perfect this! ‘Frozen’ inspired birthday cakes, here we come. Oh my, now this is a DIY drip cake extravaganza! Don’t be scared off by how amazing this cake looks, however, as Cake Walker will walk you through the creation process. The perfect surprise for any gathering, this bubblegum pink cake by Coco Cake Land will need a double-take from guests! That chocolate ganache oozing down the side looks tasty too. Harry Potter fans rejoice, because Cookie Dough and an Oven Mitt has created a DIY butterbeer drip cake which will knock your socks off! Tempting, isn’t it? Not only will this tutorial from Hobby Craft teach you how to create an awesome drip cake, but it’ll also show you how to create that magical hovering object effect too! This is amazing, indeed. Isn’t this DIY drip cake from I Am Baker incredible? The chocolate ganache and edible little ghosts take this basic cake to new heights! When it comes to the most famous baker and cake style of 2016, the talented Katherine Sabbath probably comes to mind! 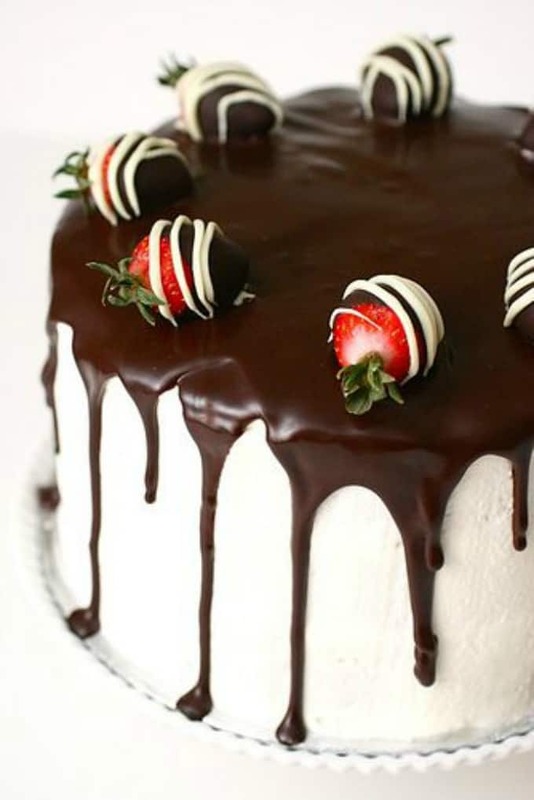 Love from the Oven has created a DIY drip cake heavily inspired by the famous baker’s style. Here’s a colorful and creative DIY drip cake from Makoodle which you’re sure to love! Be sure to mix and match with your desired colors to suit your own celebratory theme. Milk and Honey have created their own version of a DIY drip cake which looks delicious! You’ll be spoilt for choice with all of these wonderful baked goods. This Easter extravaganza from Poppy Talk also utilizes the newly popular drip cake trend! No guest will be able to say no to this scrumptious treat. This stunning pink, bubblegum inspired cake from Poppy Talk is not only eye-catching, it’s also incredibly delicious too! Sprinkles just seem to make everything better. This peanut butter cup drip cheesecake from Pressure Cooking Today will be the showstopper of any event. After all, who doesn’t love the combination of peanut butter and chocolate? Here’s a drip cake with a difference! This blueberry jam edition from Salt and Chocolate is both unique and colorful…not to mention delicious. If you’re after something extra special, this DIY watercolor drip cake from Sprinkles for Breakfast is certainly for you. Feel free to create it in any hue that your heart desires! Fancy some neon pink and dripping icing on your next cake? Sprinkles for Breakfast had the same wish, so created this fantastic cake to make all of her dreams come true! This one’s a bit of a mouthful – literally! Style Sweet CA has created a peanut butter banana honey dip donut cake. It combines all of our favorite edible delights! Titled the ‘meringue dream cake’, this DIY drip cake design from Sweetapolita is the answer to all of your sugary dreams! You’ll love the step-by-step guide. One word – yum! This DIY honey butter drip cake by The Cake Blog looks scrumptious…who wouldn’t want to make it for their next celebratory occasion? The Cake Blog has made a raspberry champagne drip cake to add some pink to her day – isn’t it beautiful? You too can create this amazing cake by following this tutorial. This dramatic chocolate drip cake from The Cake Blog is pretty epic, isn’t it? Now imagine that you can actually recreate this masterpiece yourself by following this simple tutorial – Amazing! How about creating a DIY rainbow drip cake for someone special? This tutorial via Tablespoon will teach you how! This 5-layer butterscotch drip cake isn’t for the faint of heart – it’s a dessert delicacy! Wilton has a great step-by-step tutorial so that you too can recreate this wonderful dessert. This ultimate birthday cake from Wilton is out of this world! Thankfully, their video tutorial will actually teach you how to make this delicious drip cake from scratch. This color drip cake actually uses ganache to make it appear as though the ice cream has melted down the sides of the dessert. Isn’t that wonderful? Cakes has this video tutorial for you. Ta-da! Weren’t those drip cakes amazing? Which ones do you hope to recreate? We’d love to hear from you in the comments section below!